It is October, so all things spooky and sweet are out and about. Of course with Halloween comes great movies to watch during this time of the year and the newly released GHOSTBUSTERS is the perfect way to stay in with the family to celebrate. To help celebrate the film, we plan to #BooItForward this year by “booing” our friends and neighbors, thanks to great ideas from Walmart. 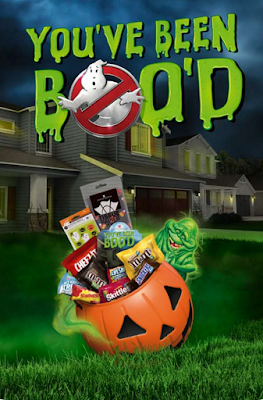 To "Boo" someone you would just put together a home decorated bag/buckey of treats including a note with instructions on how to "boo" and deliver it anonymously to their neighbor, friend or relative. The recipient would then have 48 hours to do it to their next door neighbor or friend which creates a chain throughout the neighborhood. It will be fun to see how many people are "boo-ing" it this season! Are you ready to start booing your friends and neighbors? Just head to Walmart to get great ideas and goodies to create your Boo It Forward kit today! They even have some cool printable Boo cards for you to use as well! 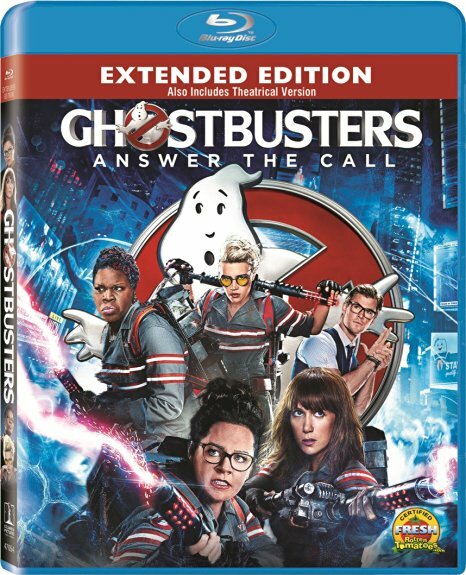 Connect with GHOSTBUSTERS on Facebook, Twitter, and Instagram! I received the above information and products for posting in collaboration with Sony Pictures Home Entertainment. All opinions expressed are 100% my own.